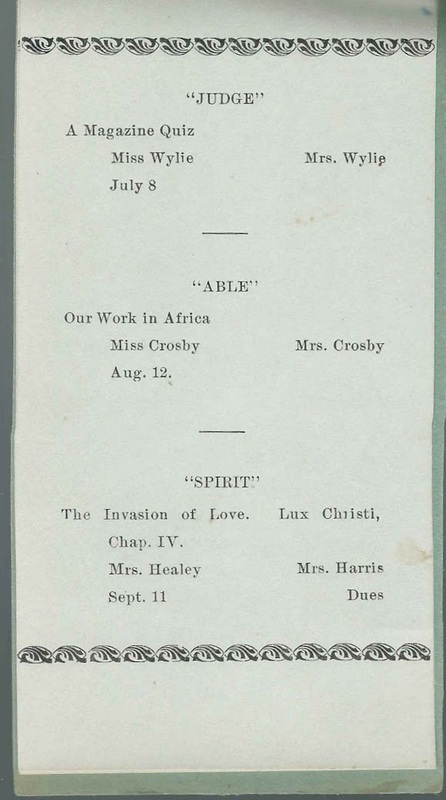 1903 program for a meeting of the Woman's Foreign Missionary Society, presumably from the Bath, Maine, area. The Woman's Foreign Missionary Society was founded in 1879 as a function of the Methodist Church. The program is tucked in the 1850s autograph album of Ellen Augusta (Crooker) Blaisdell of Bath, Maine. Ellen died in 1893, and the album then presumably passed to her only daughter, Alicia A. (Blaisdell) Crosby, wife of Elwell Swett Crosby. Alicia may have been the Mrs. Crosby mentioned in the program. 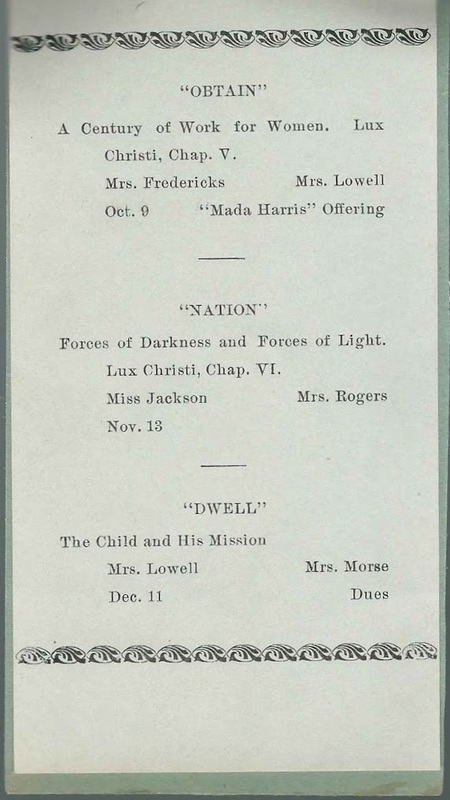 Another item tucked in the album, by someone other than the original owner, and perhaps after Alicia's death as well, is an article on the genealogy of the Crooker family of Maine. If you have information on any of the women mentioned, please leave a comment or contact me directly.